Understanding piano chords is not difficult. Once you understand them, you’ll start to remember them easily. Then they become quite easy to play. This page will give you a basic chords overview. After reading this page, you can move onto the other pages that have more detail. 1. You need to understand what the root of the chord is. 2. You need to understand what the chords symbols are. 3. You need to know how to transform the symbol into notes. To help with understanding piano chords, let’s use an example. We’ll use the chord Bbm7. 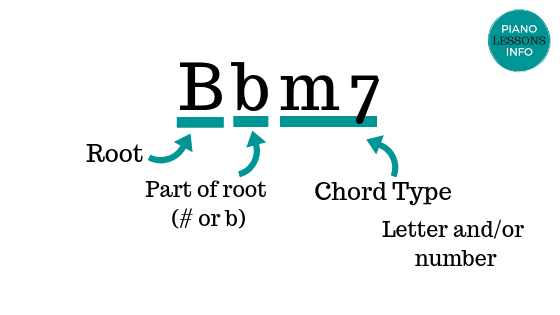 Bb is the first letter in the chord. This makes it the root of the chord. Chords are a little bit like trees. They have a root and they grow up from there. Once you’ve got the root, you just need to know how to build it. The root is always the first letter in the chord. A sharp or flat directly following the first letter is part of the root. If you can figure out the major scale of the root note, this will help you in figuring out the rest of the chord. After the root note comes a letter or number - or both. This tells you what notes to build on top of the root note. In our example, the m7 is the chord symbol. It stands for minor 7th. (You can find more types of chords on the read piano chords page.) The “m” is telling you what to do with the 2nd note in the chord. (The 2nd note of the chord is the 3rd note of the Bb major scale.) The small “m” means you must lower it that note by one semi-tone. This chord includes the 5th note of the scale (as most chords do). It stays an F.
The 7th means that you add the 7th note of the Bb major scale and then lower it. The 7th note is A so we make it Ab. Altogether then, the chord is Bb Db F Ab. Most chords are built on every other note. So, if you know the music alphabet (ABCDEFG), you can start by just skipping notes. The C chord has the notes C E G. We skipped the D and F.
Just skipping a note doesn’t work for every chord though. Different chords include different notes of the scale. There’s an easy way to figure out the notes after you know what the chord symbol means. You can learn the key signatures of each root note. Our previous example of Bbm7 uses the key signature of Bb. Bb has a Bb and an Eb in its key signature. So we can skip every other note but if one of the notes is an E, we know we have to play Eb instead. Here’s another example: the key of D has 2 sharps. F# and C#. So, when you made a D chord, you have to play D F# and A. Not D F A. My basic formula for understanding piano chords is like this. 1. Know the key signatures for each major key. 2. Know what the symbols mean ( read piano chords ). From the symbols you can figure what you need to do to the notes. 3. Play and practice them. Getting familiar with them is the best way. I wouldn’t suggest trying to memorize all the symbols, key signatures and chords at once. Instead, learn the chords you want to play for a specific song. It’s easier to get to know small groups of chords at a time. 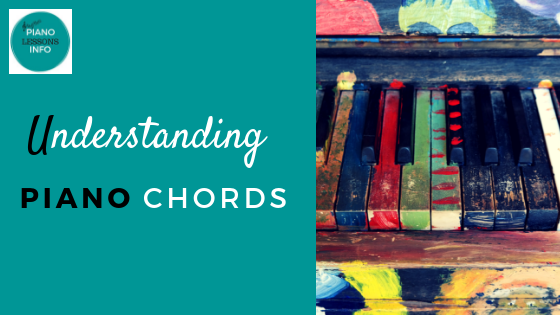 Understanding piano chords may sound complicated but it’s not. It may take a little work but soon you’ll get to understand what they all mean. You can check out the chord theory page for more information on how to build chords. Another good way for understanding piano chords is to take course on chords. If you really want to be able to play chords, I think a course is your best option. Look for a course that teaches you by playing, not just by reading. Understanding piano chords is not only about understanding them. You want to play them too! 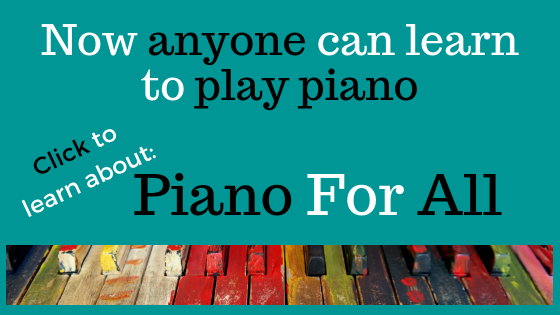 Return from Understanding Piano Chords to Piano Lessons Info Homepage.